Recently our client, Kendra, posted a review about her experience with Superior Woodcraft on Houzz. It is great to hear how pleased Kendra is with her new Superior Woodcraft kitchen and the superior experience. Below Kendra shares her experience with us. Enjoy Kendra’s story. Michelle cares about her customers, cares about quality, and does not try to up sell you. 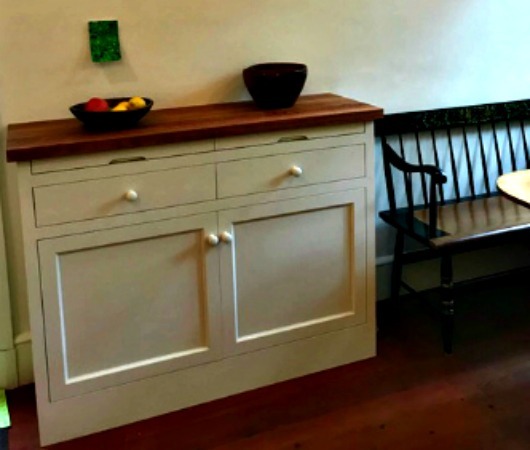 We shopped extensively for semi-custom and custom cabinetmakers and hands down, Superior is the best we found. They care about attention to detail, longevity, and using top quality materials. Brainstorming with Michelle is great because she has so much experience, will give good opinions, and alternatives. Other designers we met with tried to fill our kitchen with extra islands and cabinets we didn’t want and would have made our city kitchen an utter obstacle course. 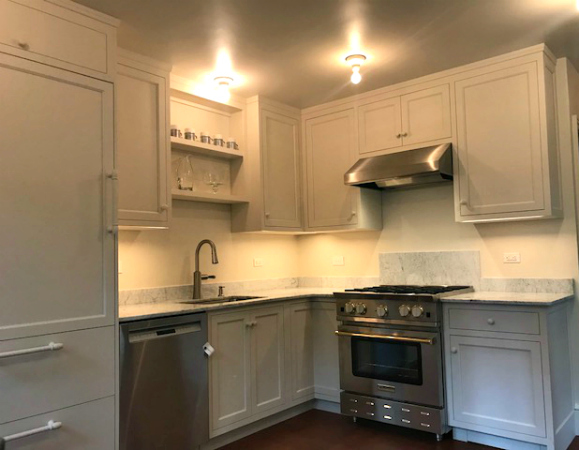 Michelle understood our kitchen, its layout, and talked us out of having made an extra set of upper cabinets that would have crowded the space, encouraging us that they could always make them later if we felt we needed them. There were so many forks in the road where Michelle could easily have made more of a profit but instead directed us towards what was best for our kitchen. What a rare find. The best compliment on our kitchen was from a friend who works in carpentry and was very impressed by the craftsmanship. We will use them in the future for built-in bookshelves either in our Philadelphia or New York City home. Thanks Kendra. We are so pleased that Superior Woodcraft was able to bring utility, beauty and harmony into your Philadelphia home and your family’s life. We are looking forward to working with in New York City and handcrafting built-in bookcases in Philadelphia. Enjoy the Superior Life.